Welcome back to my reviews! after a long time and a summer break, it is time for more model kits. 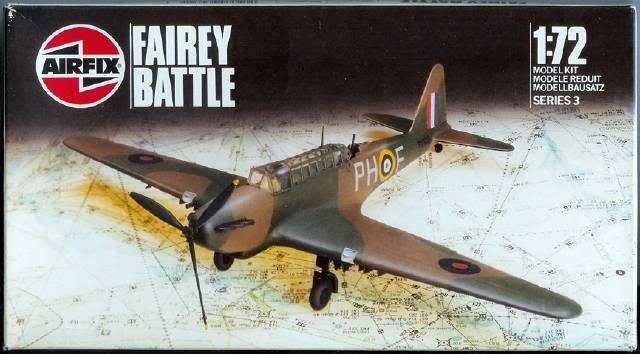 We start with the last kit finished this summer, the Fairey Battle of Airfix. Here is the first one, the classic. It depicts a nice and vibrant action, with a bridge over the river Meuse on the background. The next one, in my opinion is a bit poor, and has a weird perspective which makes it look strange. 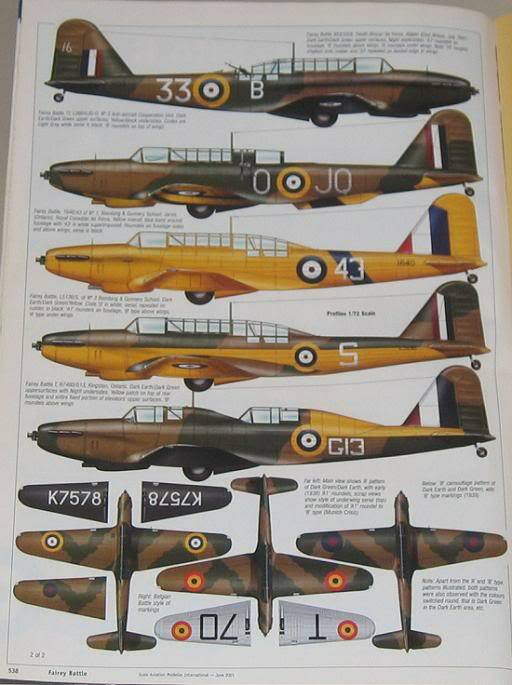 I normally like Airfix early 90s boxes, but the kit made clean straight out of the box looks a bit silly. The undercarriage looks awful. It really puts me off buying it. To me the winner is the last one (for once, I prefer the modern thing!) . I like very much the mediterranean scenario, with the small Fiat's in the background, with the Greek markings, it creates a different theme. The only bad thing is that the 3d used to make the box art (or, at least, part of it) makes it a bit "unreal". This is a very old kit, and inaccurate as well. 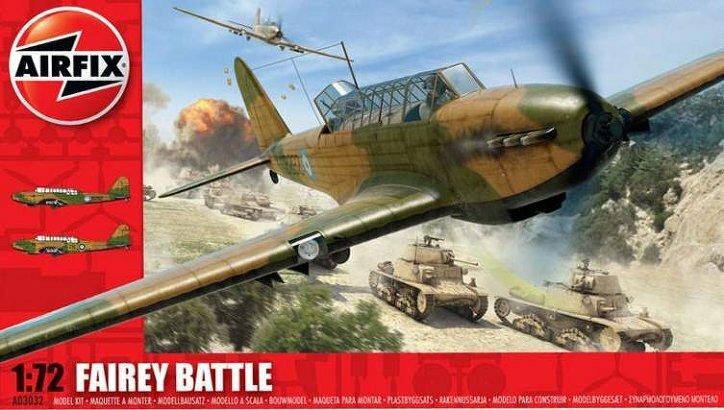 Airfix dresses a prehistoric kit with a supermodern box art, but the kit is the same as you could buy 40 years ago. Besides the lack of small details, and small inaccuracies typical of early models, this kit has two gigantic errors; it has a short nose and wrong tail shape. You need to add 4mm of length to the nose, and reshape the tail. I haven't done this as I am not a perfectionist, but it looks strange and just by sight you can notice that the engine is way too short. The only difference between this kit and the first release is the inclusion of two modern pilots (for modern I mean the ones released in the early 80s or before!). Other problems include the undercarriage being massively thick, the propeller just fits in the two halves of the fuselage without detail nor anything that avoids the propeller rattling, and the poor fit of the rear canopy, which is also incredibly wrong and weird. For your money you have 2 pilots and 4 bombs, which is good enough. 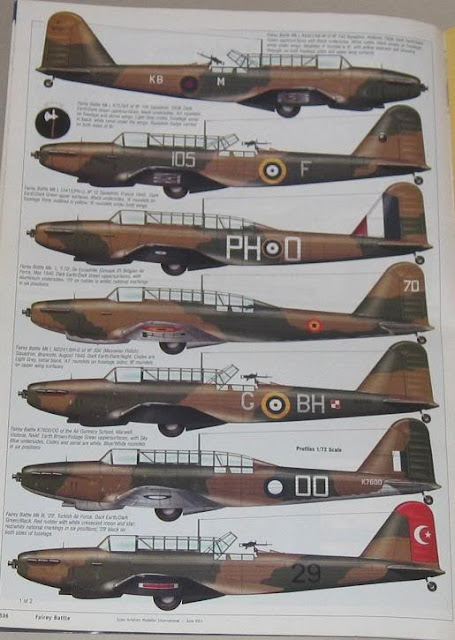 You'll hardly escape the mickey-mouse, but at least you can make a interesting turkish, greek or belgian version, besides the always colourful yellow trainers-target towing aircraft. Pics extracted from Scale Aviation Modeller International. (except the nice Greek markings) you can surely get it for 6 or 7 £.